Kentfield Pillow CoverKentfield Pillow Cover, Smoke alt="Kentfield Pillow Cover, Smoke"
Print Neutral with a little attitude. 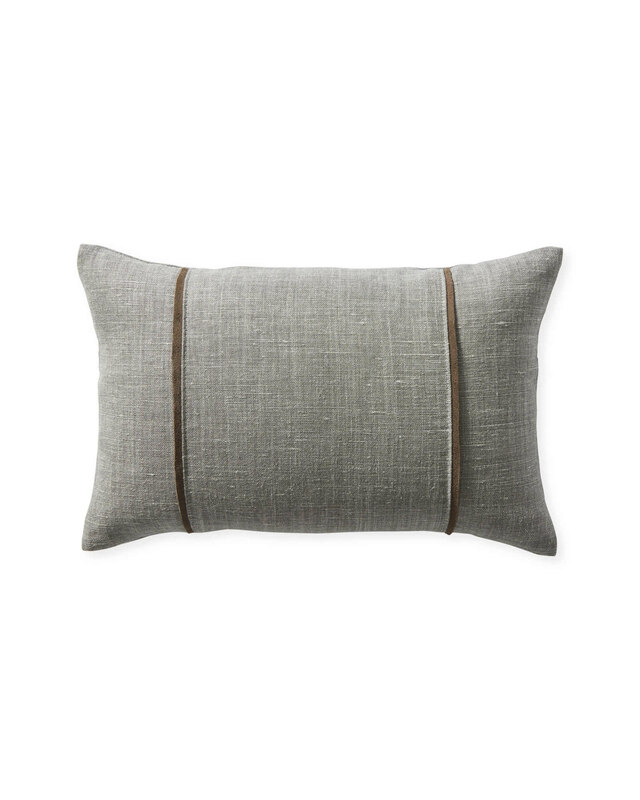 This linen pillow really pops thanks to the pair of suede stripes that adorn the solid base. We chose linen for its relaxed elegance and beautiful texture, suede for a simple contrast. 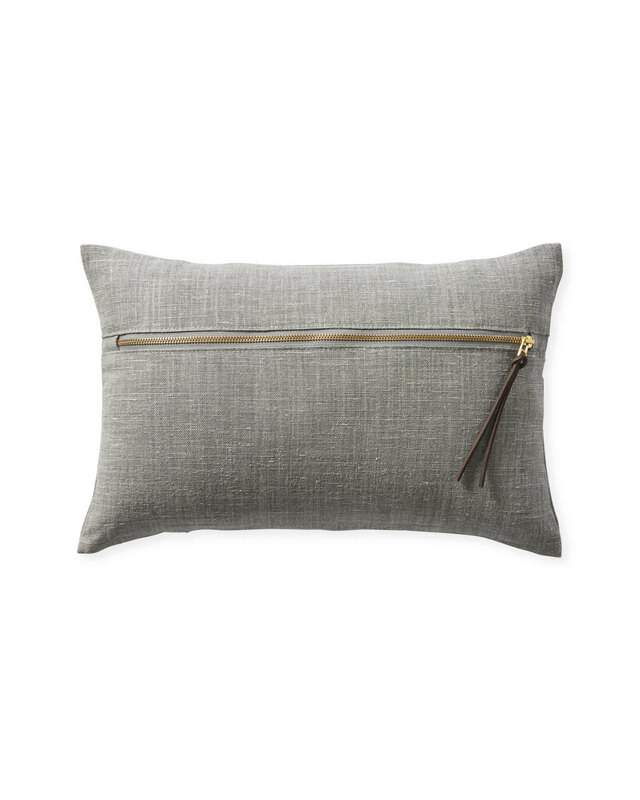 To make the pillow a little more special, there’s an exposed brass zip with a leather pull on the reverse. 100% Belgian linen shell with suede accents. Exposed brass zip with a leather pull on the reverse. 20”SQ and 12” x 18".